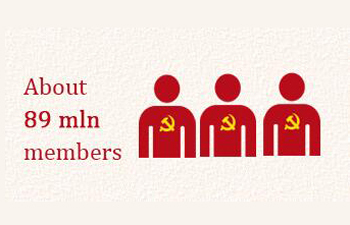 Infographic: What does it mean to be a Party member? 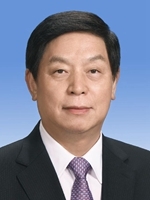 How is General Secretary of CPC Central Committee elected? 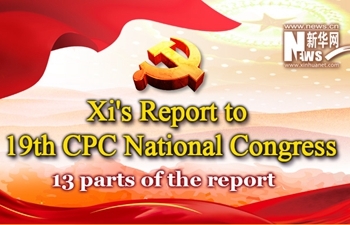 How is CPC Central Committee elected? What does it mean to be a Party member? How has the CPC become the largest political party in the world? How are the CPC members managed? 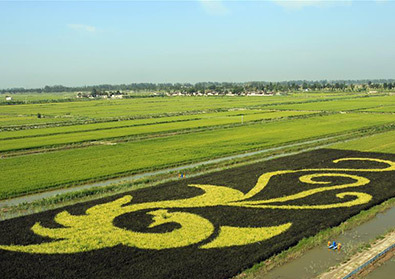 What is the symbol of the CPC? 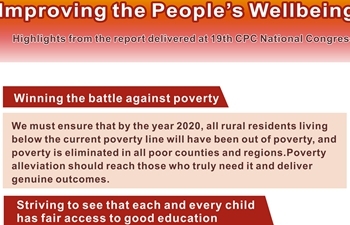 What are the strategic objectives of the CPC? 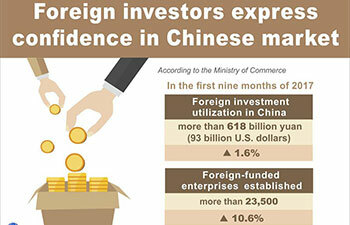 What role does the CPC play in economic entities? How many members does the CPC have? 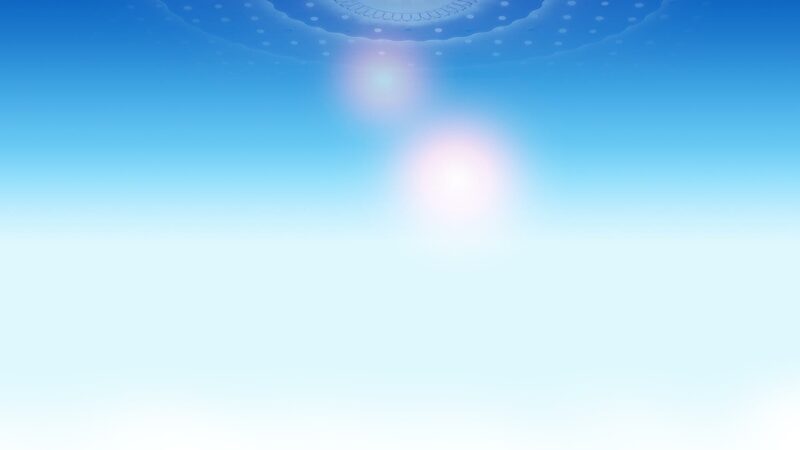 What is CPC discipline inspection work? 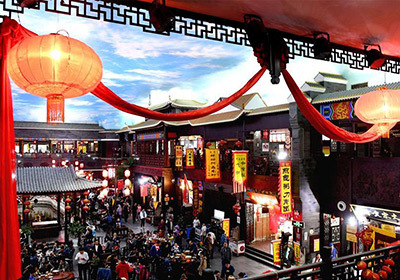 What is eight-point frugality code of the CPC? 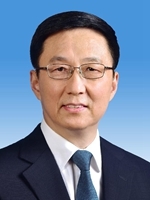 What is CPC party governance? 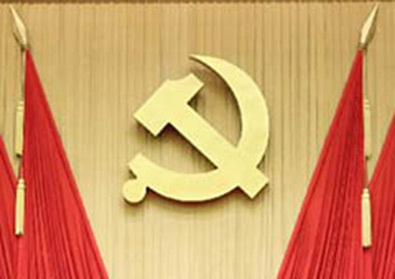 What are relations between CPC and non-communist parties? 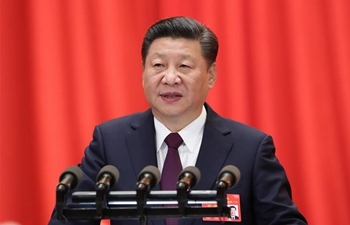 The week-long 19th National Congress of the Communist Party of China (CPC) concluded Tuesday, during which the CPC Constitution was amended to include Xi Jinping Thought on Socialism with Chinese Characteristics for a New Era as a new component of the Party's guide for action. 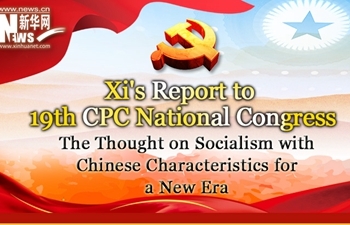 The CPC Constitution was first unveiled at the second CPC National Congress held in 1922. At the 7th CPC National Congress in 1945, Mao Zedong Thought was established as CPC's guiding ideology. 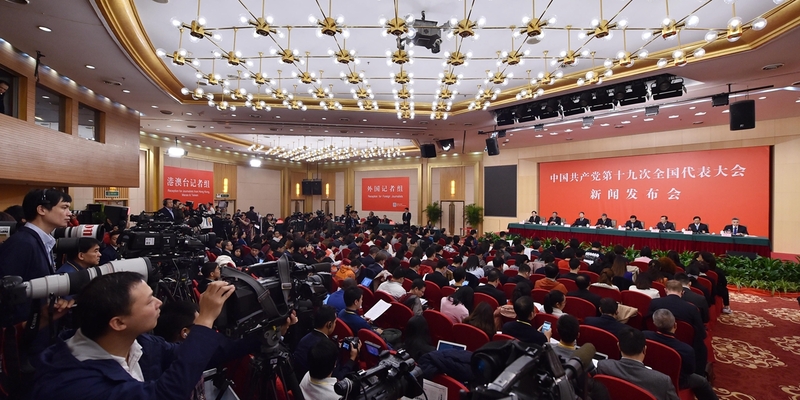 The Party Constitution stipulates that the Political Bureau, the Standing Committee of the Political Bureau and the General Secretary of the Central Committee of the Party are elected by the Central Committee in plenary session. 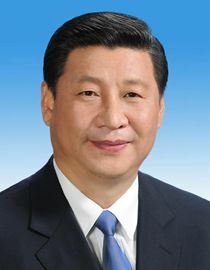 The National Congress and the Central Committee it elects represent the highest leading body of the Party, according to the CPC Constitution. 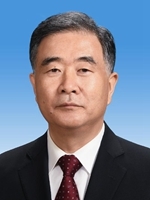 When the National Congress is not in session, the Central Committee carries out its resolutions, directs the entire work of the Party and represents the Party in its external relations. 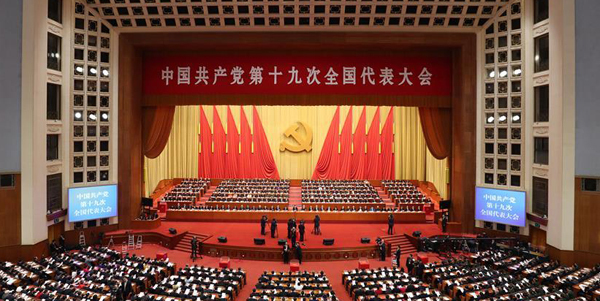 The Communist Party of China (CPC) has about 89 million members, roughly 6.8 percent of the population. 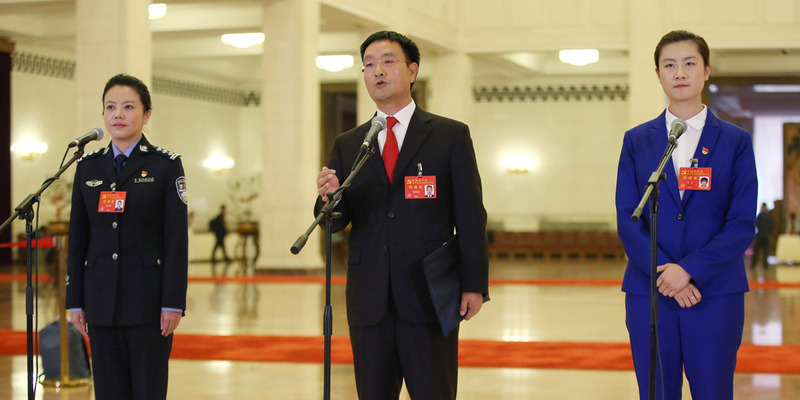 Membership of the CPC entails certain rights and responsibilities. According to the Party's Constitution, members should be a vanguard fighting for the Chinese working class. They should serve the people wholeheartedly. The 96-year-old Communist Party of China (CPC), the world's largest ruling party with more than 89 million members, is set to hold its 19th national congress on Wednesday. When it was established in 1921, the CPC had around 50 members. 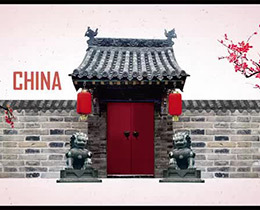 By 1949, when the People's Republic of China was founded, its membership had increased to nearly 4.5 million. Fast-forward more than 50 years and in 2016, the Party had 89.447 million members, making it the largest political party in the world, with more members than the population of Germany. 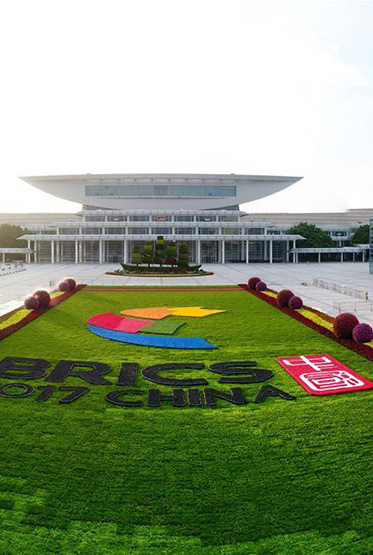 The 19th National Congress of the Communist Party of China (CPC) is scheduled to open on Wednesday.  Since the Party's founding in July 1921, themes of CPC national congresses explicitly define the path and goal of the Party. 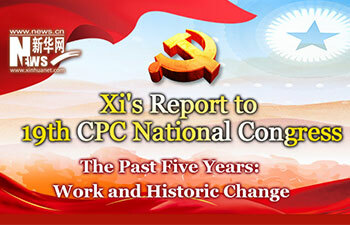 Following are the themes of major CPC national congresses. 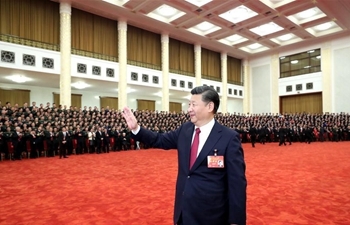 CPC members are grouped into more than 4.5 million Party branches and each branch has 20 members, on average. According to the CPC Constitution, a branch should be established wherever there are more than three Party members. Almost all urban neighborhoods, communities and towns have Party branches. 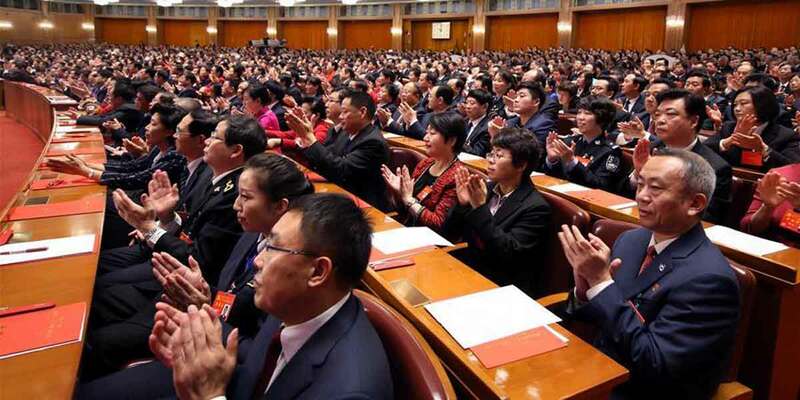 In the workplace, about 91.3 percent of public enterprises have resident Party branches, which supervise day-to-day operations and play a part in decision-making. Party branches are also present in 67.9 percent of private enterprises and 58.9 percent of social organizations. 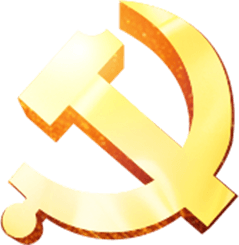 -- The emblem of the CPC is a design of sickle and hammer. 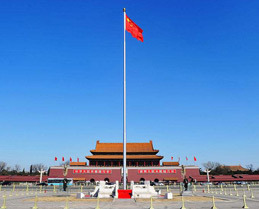 -- The flag of the CPC is a red flag highlighted by a golden Party emblem on it. The "two centenary goals" are also known as the "strategic economic and social development objectives at the new stage in the new century." 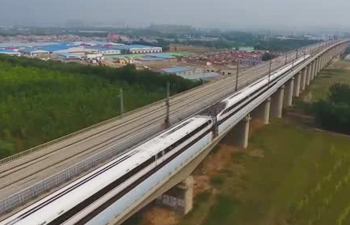 The first goal is about making China a moderately prosperous society, with the benefits felt by the well-over one billion population by the Party's centenary. 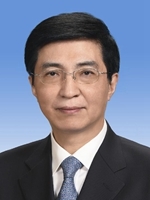 In a state-owned or collective enterprise, the primary Party organization acts as the political nucleus and works for the operation of the enterprise, according to the CPC Constitution amended and adopted in 2007. 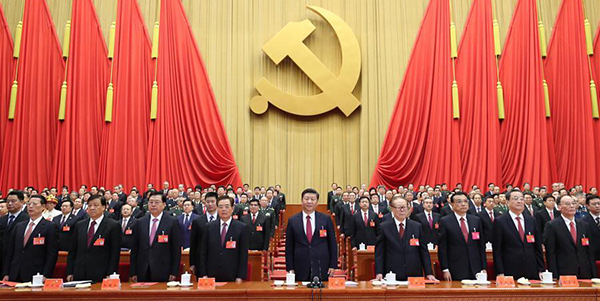 The Communist Party of China (CPC) had a total of 89.447 million members at the end of 2016, the Organization Department of the CPC Central Committee announced Friday. 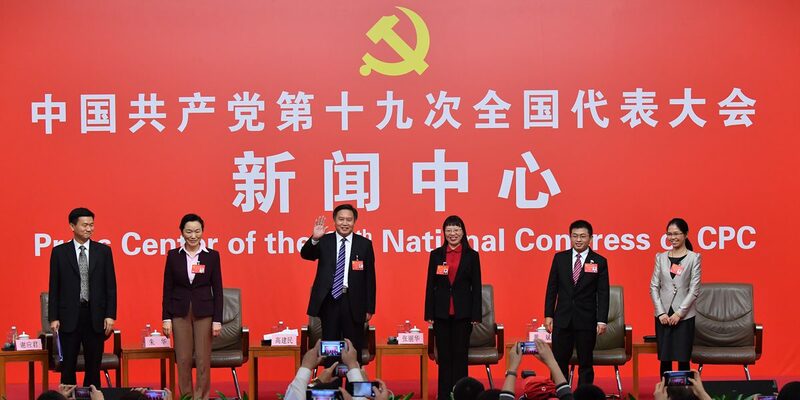 Since the 18th Communist Party of China (CPC) National Congress in 2012, Party discipline inspections have purified the Party and improved the CPC's internal governance. 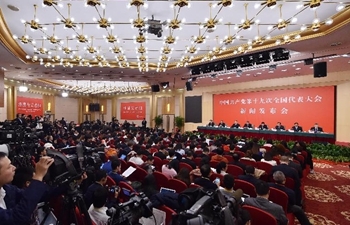 Since the congress, the Political Bureau of the CPC Central Committee and the Standing Committee of the Political Bureau of the CPC Central Committee have held 23 meetings on inspections. The central leading group for inspection has held 115 meetings. 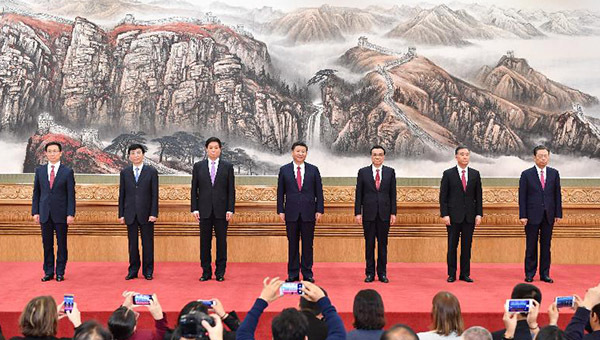 The eight-point frugality code, introduced by the Political Bureau of the Communist Party of China (CPC) Central Committee, aims to improve Party and government officials' work style. 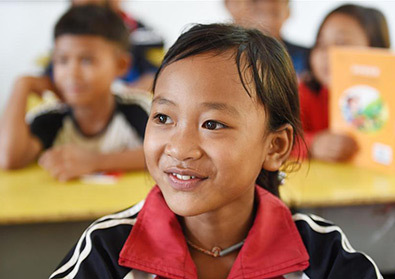 Since it was adopted in December 2012, great efforts have been made by the Party to rectify undesirable work styles of formalism, bureaucratism, hedonism and extravagance. 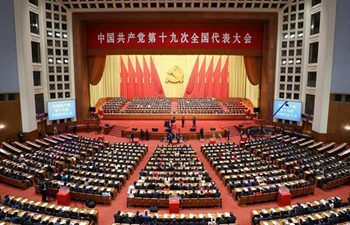 Since the 18th Communist Party of China (CPC) National Congress in 2012, the CPC Central Committee has dedicated itself to strict party governance. 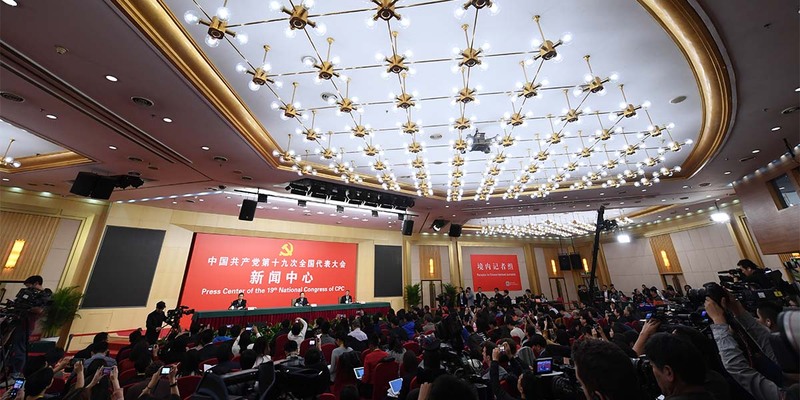 In the past five years, the CPC Central Committee has tirelessly addressed "si feng," or "the four forms of decadence" -- formalism, bureaucratism, hedonism and extravagance. 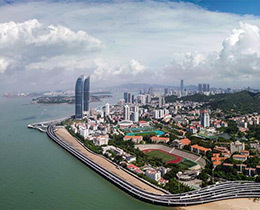 By the end of 2016, 155,300 violations against the eight-point frugality code had been investigated, according to the CPC Central Commission for Discipline Inspection (CCDI). 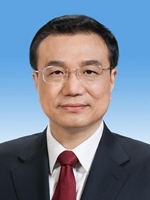 -- China is a multi-party country. 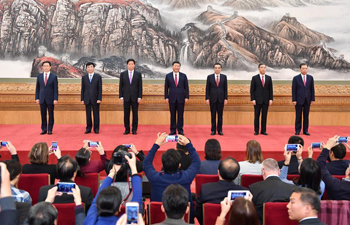 Except the CPC, the country has eight non-Communist parties. 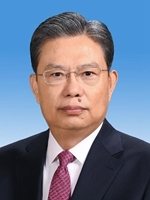 They are the Revolutionary Committee of the Chinese Kuomintang, the China Democratic League, the China National Democratic Construction Association, the China Association for Promoting Democracy, the Chinese Peasants and Workers Democratic Party, the China Zhi Gong Party, the Jiu San Society, and the Taiwan Democratic Self-Government League. Group interview held on "securing victory in the hard battle for better environment"